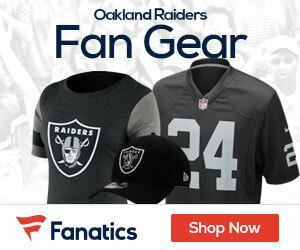 The Raiders will not win another Super Bowl as long as owner Al Davis is alive and in charge of the franchise, NBC Sunday Night Football play-by-play man Al Michaels told a TMZ.com photographer. Michaels was stopped Monday evening outside Boa Restaurant in Hollywood and asked on camera if the Raiders were ever going to win a Super Bowl while Al Davis is still alive and Michaels responded ”No” without hesitation. Michaels also was asked whether he considered Davis — one of the AFL and NFL’s pioneers and a member of the Pro Football Hall of Fame — to be a genius. “Let me ask you a question: If you had a team that lost 11 or more games seven consecutive years, would you say a genius ran the team?” Michaels answered. The Raiders won world championships in Super Bowls XI, XV and XVIII but have not posted a winning record since 2002, when the team went 11-5 in the regular season and was trounced 48-21 by the Tampa Bay Buccaneers in Super Bowl XXXVII. Just another name to add to the list of people I want to Eat Their Words! Classless move by Michaels. Whose benefit does it serve to take pot shots at an NFL Hall of Famer in his declining years?